Welcome to New Glasgow Lobster Suppers! Upon arrival you will be asked to decide your entree & purchase your meal order prior to being seated. You will then be directed to the dining room and be escorted to your table by our hostess. All meals are served to you at your table and include our appetizers, non alcoholic beverages and desserts. If you wish to have an alcoholic beverage with your dinner, the bar bill will be handled at the end of the meal. Gratuities are not included in the price of your meal. If you wish to leave something for your server, you may either leave it on the table or give it directly to the server. If you have any special dietary requirements please contact us prior to your visit and we will try our best to answer any questions regarding your dining experience with us. Your server will greet you with a basket of homemade rolls & bread. 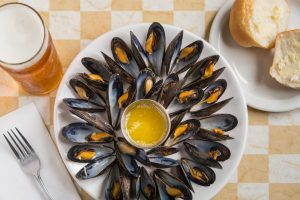 Choose any combination of Seafood Chowder, Tomato Basil Soup (gluten free) and Freshly Steamed Cultivated Island Blue Mussels. Sample one or all of our salads on our salad sampler plate. Coleslaw, PEI Potato Salad and Garden Salad drizzled with our home made balsamic vinaigrette dressing. 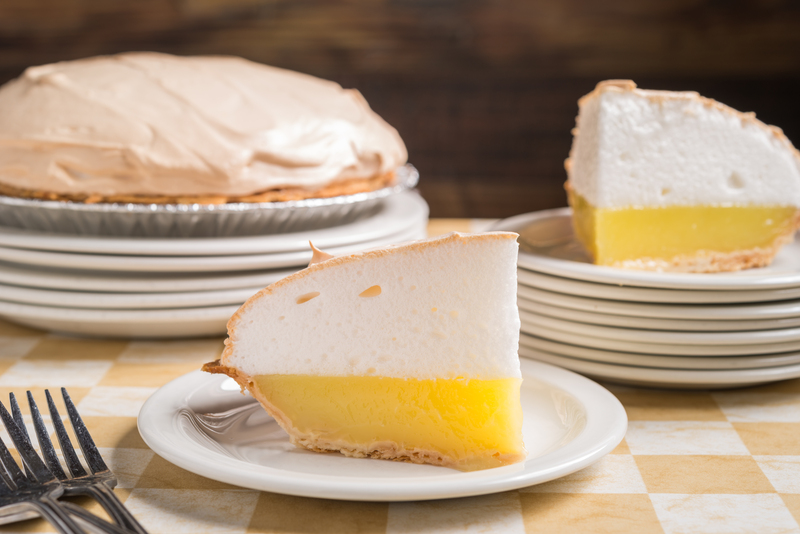 Your entree will soon follow but don’t forget to save room for dessert! 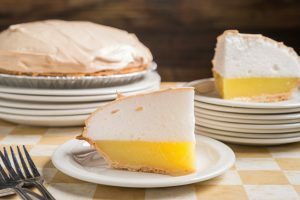 Take pleasure in one of our homemade desserts including our famous “mile high” lemon meringue pie! Wash it all down with a cup of hot coffee or brewed tea to finish off your dining experience. 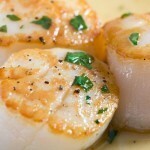 All meals include choice of appetizers, salads & desserts and non-alcoholic beverages. 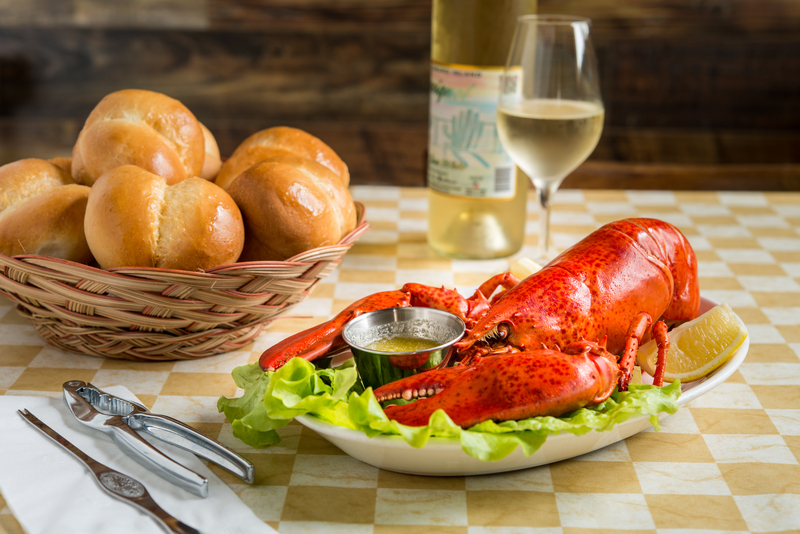 Delight in our succulent salt water boiled Island Lobster served in the shell with freshly clarified butter. Choose from our standard one pound or perhaps a larger one you can share! 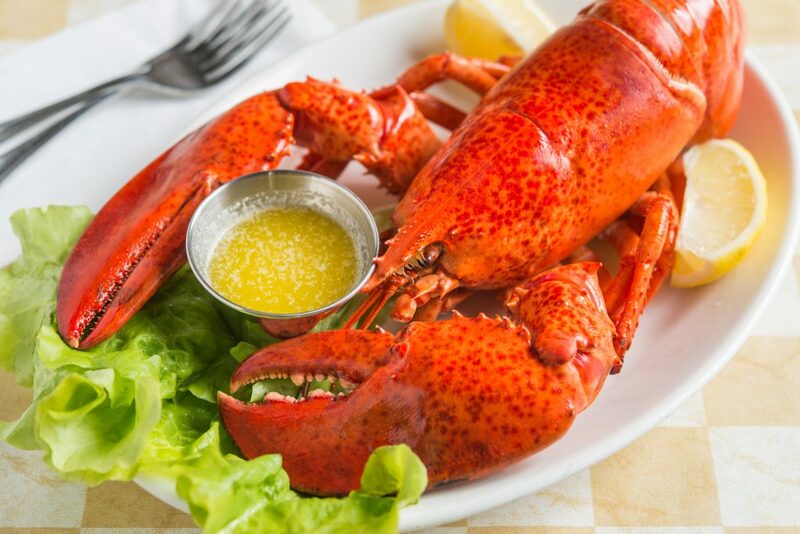 Larger lobsters may not always be available. Indulge in the best with a 1/2 of a 1lb lobster AND a 8oz Strip loin Steak served with sauteed mushrooms & onions, Fresh vegetables including PEI potatoes. 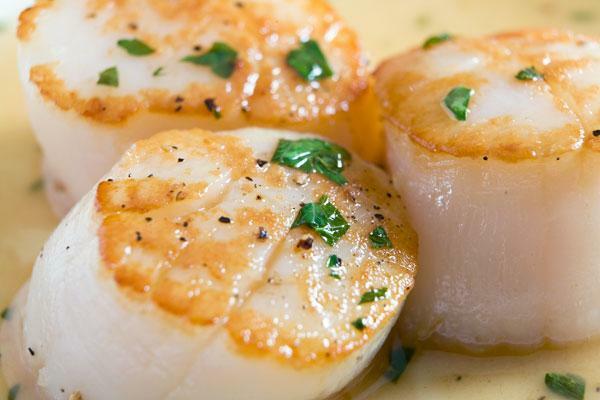 Pan seared and baked to perfection served with our homemade tartar sauce, Fresh vegetables including PEI potatoes. Pan seared and baked to seal in the freshness served with our homemade tartar sauce, Fresh vegetables including PEI potatoes. Oven Baked and drizzled with homemade lemon dill sauce served with Fresh vegetables including PEI potatoes. Locally raised Island Beef, grilled to your liking. 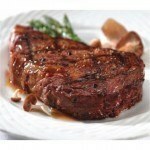 Served with sauteed mushrooms & onions, Fresh vegetables including PEI potatoes. Oven Roasted to a golden brown and served with Fresh vegetables including PEI potatoes. Grilled & oven baked topped with cranberry chutney and served with Fresh vegetables including PEI potatoes. 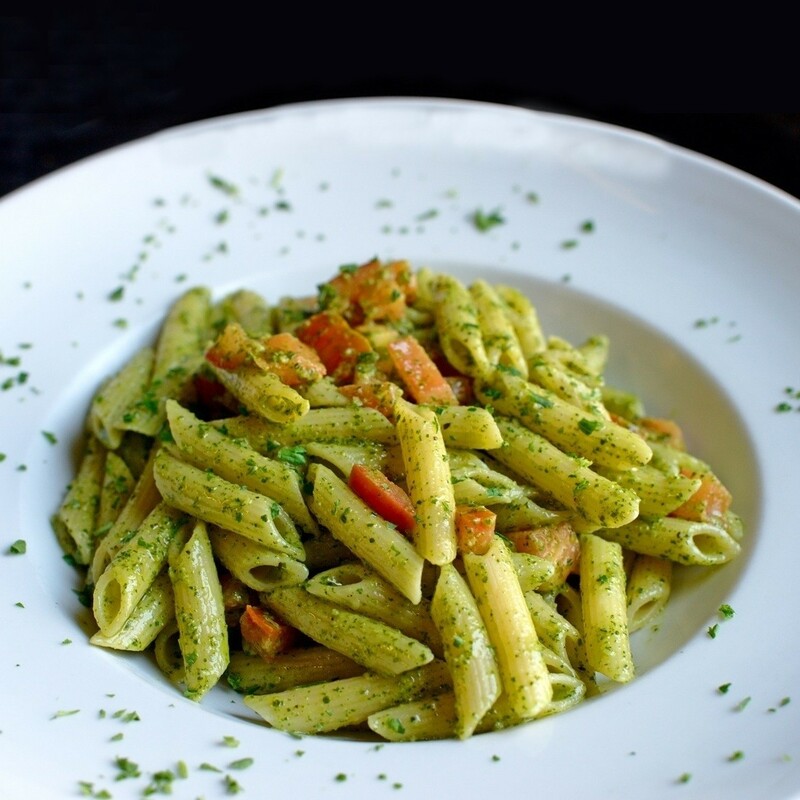 Gluten Free Penne Pasta tossed in a pesto sauce served up with roasted peppers & onions and lightly sprinkled with Glasgow Glen Farm Gouda cheese. * please note that children 3 & under eat free; however choice of entrée is limited. Tender Sweet Ham $9.95 – age 3 & Under Eat This Free! Gluten Free Penne Pasta $11.95 – age 3 & Under Eat This Free! Grill Cheese Sandwich $7.95- age 3 & Under Eat This Free! Hot Dog Platter $8.50 – age 3 & Under Eat This Free! Chicken Tenders $12.95 – age 3 & Under Eat This Free!